There have been some absolute insane moves that have transpired over the past week, and the Pittsburgh Pirates have been right in the middle of it all. The Pirates are currently in second place in the National League Central, and they hold the top Wild Card spot in the National League. The Pirates have been decimated by injuries on the left side of the infield, so they went out and traded the Milwaukee Brewers for Aramis Ramirez. Ramirez has been a great fit in Pittsburgh because he gives the Pirates solid defense, and a solid bat in the middle of the order. For his career, Ramirez is batting .300 in the month of August and .290 in the month of September. Ramirez will provide an excellent backup once Josh Harrison and Jordy Mercer return from the disabled list, and he will be a fantastic bat coming off of the bench. It is also neat to see his career come full circle in Pittsburgh. The Pirates went out and traded for reliever Joe Blanton from the Kansas City Royals for cash considerations. Blanton has an ERA of 3.89 heading to Pittsburgh, and he has appeared in 15 games. He started four games with a record of 2-2. He has pitched 41.2 innings, and he has 40 strikeouts, which is a fantastic strikeout per inning ratio. Blanton is also a long-inning guy, so the Pirates DFA’d Vance Worley. Worley will make his way to AAA Indianapolis, if someone doesn’t pick him up first. Blanton should provide a solid long-inning reliever because Worley, as great as he has been in the past, has been shaky recently. The Pirates made a huge move on Thursday afternoon by trading for the Detroit Tigers closer Joakim Soria, who is fifth in the AL in saves with 23. 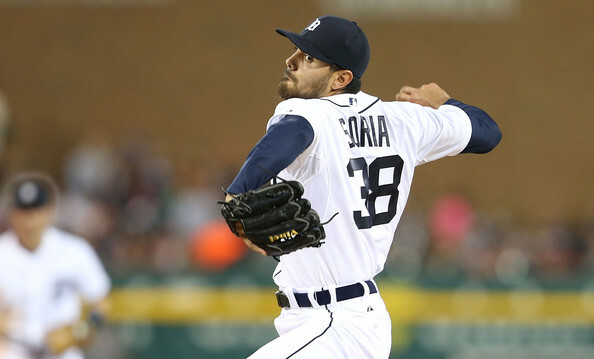 Soria currently has a 2.85 ERA with 36 strikeouts in 41 innings pitched. He’s also appeared in 43 games this season. I absolutely love this move by the Pirates because it gives them another solid bullpen arm. Soria will join Jared Hughes, Tony Watson, and Mark Melancon as the key bullpen arms. Soria will share the bridge duties with Hughes, and he will also share setup duty with Watson. Another key attribute Soria brings, he can give Melancon a break when he has pitched too many days in a row. The Pirates were rumored to go trade for a huge bat, but I think they are done trading because they have filled all of their real needs. I could, however, see the Pirates go after another starting pitcher, like Jeff Samardzija of the Chicago White Sox. Regardless, I think the Pirates are going to be just fine as we head into the final stretch of the season with their current roster.